SAG was more than just give awards to few actors, it was a true recognition of brave faith in what you believe in life. 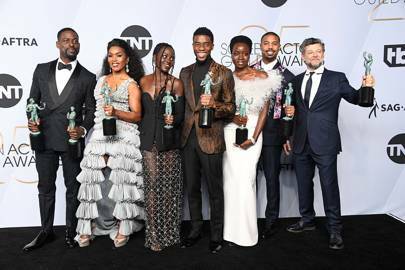 Black Panther was the big winner at the SAG Awards 2019, taking home the night’s major accolade for Outstanding Performance by a Cast in a Motion Picture. Chadwick Boseman referenced Nina Simone, quoting “To be young, gifted and black”, in an exuberant acceptance speech (one that he admitted he wasn’t expecting to make) alongside his co-stars. “We knew that we had something special, that we could create a world that exemplified a world that we wanted to see,” the actor said as he reflected on the superhero film’s impact on the industry and beyond. 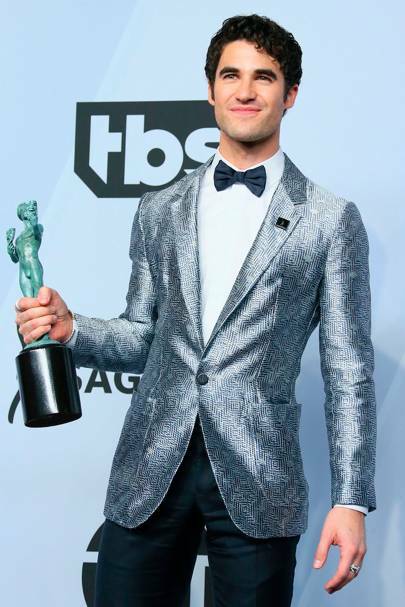 In the film acting categories, Glenn Close was once again rewarded for her role in The Wife, as was Rami Malek for Bohemian Rhapsody. Emily Blunt may have missed out on the leading actress prize, but she was recognised in the supporting category for A Quiet Place and Mahershala Ali took home the award for supporting male for Green Book. Blunt took the opportunity to pay an emotional tribute to her husband and the film’s director, John Krasinski, saying that the experience of making the film had “pierced her heart directly”, adding: “I’m so lucky to be with you and to have done this film with you”. On the television front, The Marvelous Mrs. Maisel led the pack with three awards, including nods for its leading performances for Rachel Brosnahan and Tony Shalhoub. 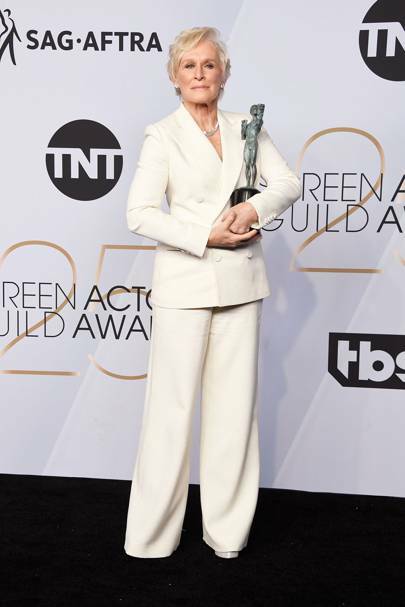 As speculation mounts around the forthcoming BAFTA and Oscars ceremonies, see the full list of SAG Awards winners, below. La preemisión fue mas que dar reconocimientos si no una valoración a los verdaderos deseos en la vida. Para mi la mejor parte fue escuchar los testimonios de los actores como con perseverancia y constancia pudieron vencer muchas rivalidades para hacer posible cumplir sus sueños, un bello ejemplo que nos debe hacer pensar que no importa cual sea tu sueño este puede cumplirse ten fe y lucha por ello. El reparto de la película Black Panther, la actriz Glenn Close y el intérprete Rami Malek fueron los principales ganadores de los premios del sindicato de actores de Hollywood, los SAG, considerados como un anticipo de lo que puede pasar en los Óscar.Black Panther, de los Estudios Marvel, de Walt Disney Co’s , ganó el premio al mejor elenco en cine, en un triunfo sorpresivo sobre A Star is Born, el filme musical de Bradley Cooper y Lady Gaga, que culminó la noche sin ningún premio. Roma no estuvo nominada para esta gala, que se realizó anoche en Los Ángeles, Estados Unidos.